Portugal is a truly fascinating destination. According to World Resources Institute, the country has 2830 kilometers of the Atlantic Ocean coastline. Lisbon is located near the estuary of the River Tagus. The city of Lisbon is a primary destination for almost anyone visiting Portugal. You can rent a car at Lisbon airport to take you through the city to enjoy the proud seafaring tradition Portugal has nurtured. The country is famous for historical palaces and castles, museums and monasteries. When in Lisbon, Mosteiro dos Jerónimos, Oceanário de Lisboa, Palácio Nacional de Sintra, Convento do Cristo, Tomar and Torre de Belém are some of the places worth visiting. The Mosteiro dos Jerónimos is one of the country’s most revered buildings, and a must see on every tourist’s agenda. It symbolizes the spirit of the age, and feature some of the finest examples of Manueline architecture found anywhere in Portugal; the beautifully embellished decoration found on the South Portal is spectacular. The church is also the resting place for Vasco da Gama and other national figures including Luís de Camoes. 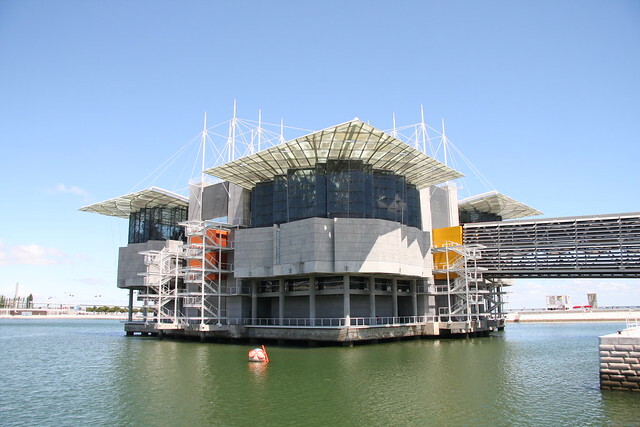 It is the most popular and family-friendly visitor attraction, Lisbon’s Oceanarium is brilliantly conceived to show the world’s diverse ocean habitats. One of Europe’s largest oceanariums, it contains several species of fish and marine animals. Four separate sea- and landscapes recreate the ecosystems of the Atlantic, Indian, Pacific, and Antarctic oceans. There is an enormous central tank teeming with sharks, ray, and several wonders and denizens of the sea. This amazing spectacle is complemented with outdoor landscapes where penguins, sea otters, and other birds and mammals co-exist in carefree harmony. Sintra’s location is enough reason to visit this charming, luxuriant town. UNESCO lists it as a World Heritage cultural landscape. The ancient town is a maze of cobbled lanes with townhouses lining the sides. The narrow streets surround a central square that’s dominated by the Palácio Nacional de Sintra. With its conical chimneys and the Sala dos Bras es, Sintra’s National Palace is the oldest surviving palace in Portugal. Regally furnished, the building has several floors each with a unique theme. 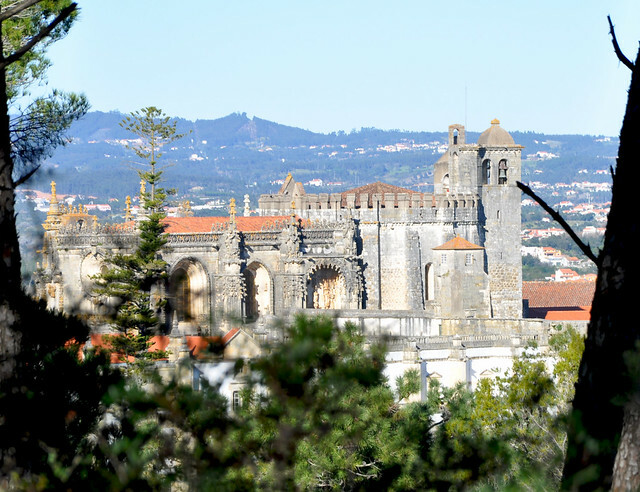 The Convento do Cristo is one of Portugal’s standout historical attractions. It dominated the riverside town of Tomar and was the headquarters of the Order of the Knights Templar. The Convent of Christ is awe-inspiring and mysterious. Its Masonic heritage is tangible and beguiling. At the center is the original Templar church, richly embellished and showcasing all the strange symbolism connected to the Order of Christ. The convent’s Manueline window is one of the most appealing aspects of any building found in Portugal because of its architecture. 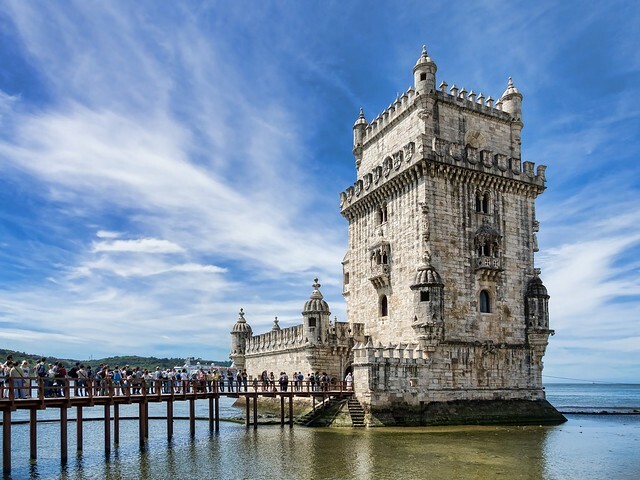 One of Portugal’s best-loved historic monuments, the Torre de Belém symbolizes the Age of Discovery and the voyages of exploration that took place in the 15th and 16th centuries. The tower is regarded as a masterpiece of military architecture. The façade is a mix of intricately carved stone, with maritime motifs and the armillary sphere. The decoration is heightened by an impressive Renaissance loggia. It is also another UNESCO World Heritage Site. The city of Lisbon has so much to offer to any tourist. The city still boasts of a rich heritage and culture. There is something for everyone from the museums, to the castles and palaces, a trip to the city will leave you wanting to go back.